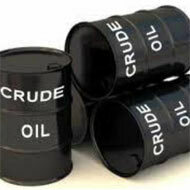 Sreekanth Jha of PJ Commodity Ventures suggests buying crude at Rs 5,800 per barrel for target of Rs 5,900 per bbl. N Prasad of Safetrade Advisors recommends buying MCX gold at Rs 28,850 per 10gm with stop loss at Rs 25,600 per 10gm for target of Rs 27,170 per 10gm to Rs 27,200 per 10gm. Reena Rohit of Angel Broking advises buying zinc July contract at Rs 110 per kilogram with stop loss at Rs 109 per kilogram for target of Rs 111 per kilogram on the upside. Sugandha Sachdeva of Religare Commodities advocates going long on lead MCX July series at Rs 122 per kilogram with stop loss at Rs 120.50 per kilogram for targets of Rs 125.5 and Rs 126 per kilogram in near term. 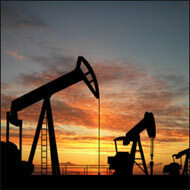 Oil rose modestly Friday ahead of the release of a key US jobs report that traders will examine for clues to the health of the US economy. Benchmark oil for July delivery was up 14 cents to USD 94.90 per barrel at midday Bangkok time in electronic trading on the New York Mercantile Exchange. The contract gained USD 1.02 to finish at USD 94.76 a barrel Thursday. The US Labor Department will release its employment report for May later in the day. A good result is expected, following a drop in jobless claims reported on Thursday. Oil prices were also being supported by a weaker dollar and a bigger-than-expected drop in crude inventories reported by the US Energy Department and the American Petroleum Institute for the week ending May 31, said Matt Basi at CMC Markets in a commentary. Brent crude, a benchmark for many international oil varieties, rose 17 cents to USD 103.78 a barrel on the ICE Futures exchange in London. Wholesale gasoline was steady at USD 2.851 a gallon. Heating oil added 0.8 cent to USD 2.879 per gallon. Natural gas dropped 0.8 cent to USD 3.819 per 1,000 cubic feet.